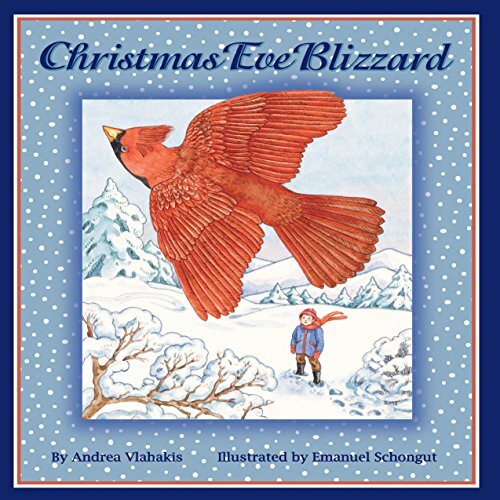 A young boy and his abuelo push aside their Christmas preparation to rescue a beautiful cardinal during a blizzard. The bird quickly responds to their kindness, regains its strength, and flies off. The cardinal sweetly and unexpectedly rewards the boy, his grandfather, and their entire village with a lifetime of Christmas cheer. The "For Creative Minds" section contains instructions to create a bird-friendly backyard, simple bird feeder crafts, a "Cardinal Numbers" math game, and information on what to do if you find an injured bird. Encourages children to care for animals. My son loved this short audio, and we were glad to listen to it on Christmas Eve, no less. Only downside was that it didn't seem a professionally produced audio and that was a bit distracting to the adult listener. The reader had a lovely voice, however. And it is a very sweet story. One additional disappointment - it sounds like the hard copy book has some nonfiction material that wasn't included here. We would have enjoyed learning more.